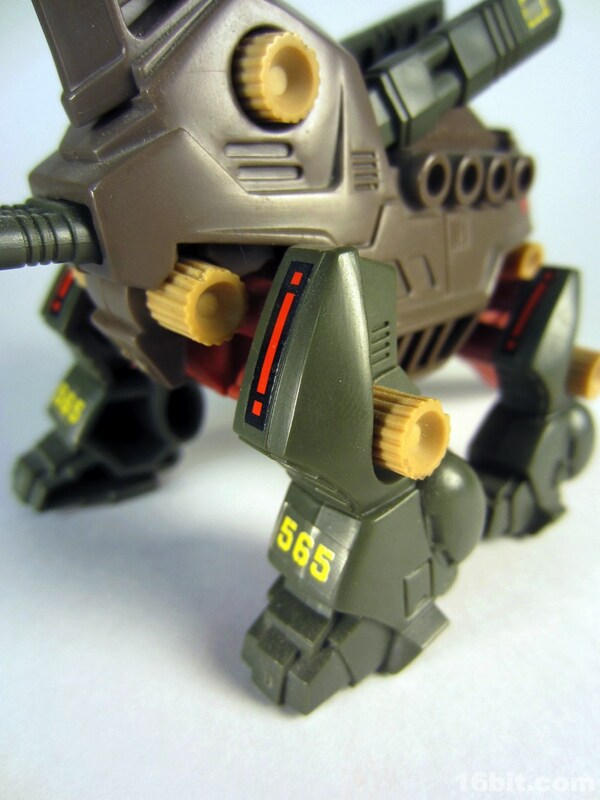 My first-ever Robostrux kit was Brox, I remember because I got it on my sixth birthday, and I remember that because I have a crystal-clear memory of being in a Kmart and seeing the "Ages 6 and up" on the box and thinking just how fortunate that was for me. Oh, and this is the one I got in 1985-- I took exceptional care of these because anything with this much assembly was, in my eyes, "fragile" and needed to be kept extra-safe. 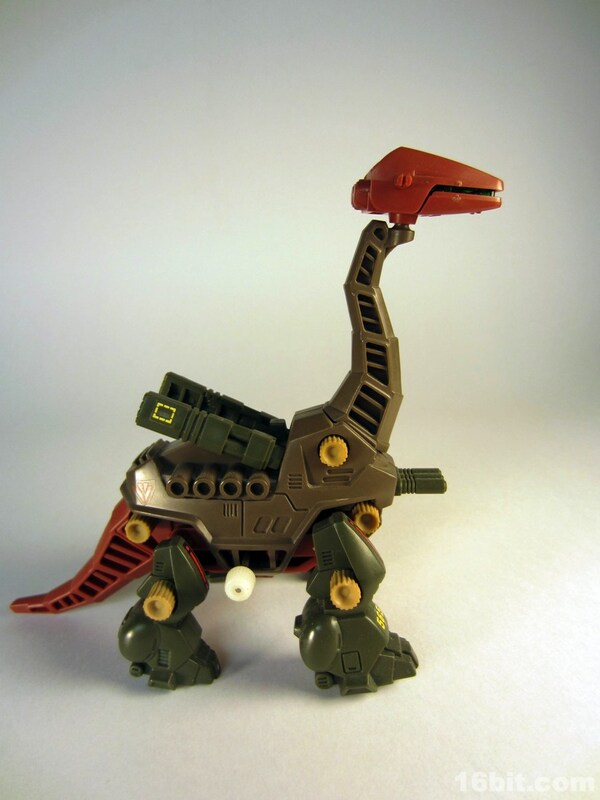 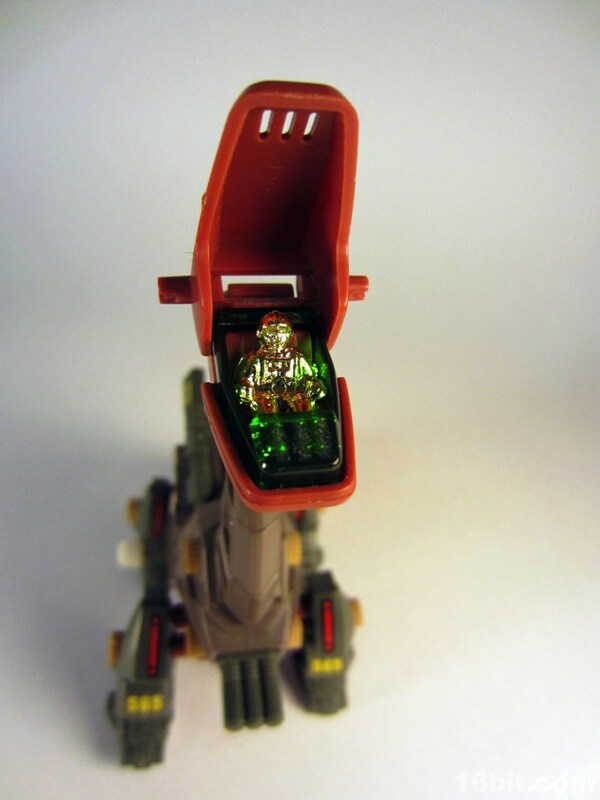 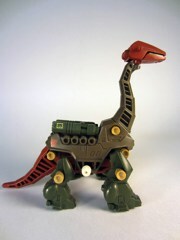 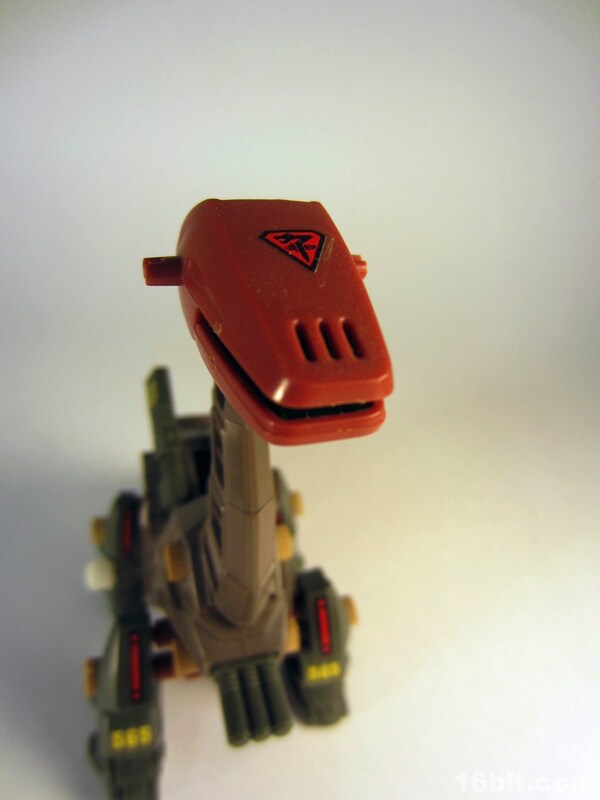 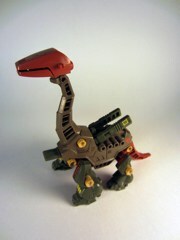 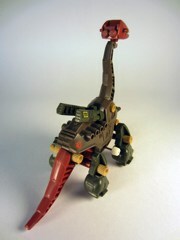 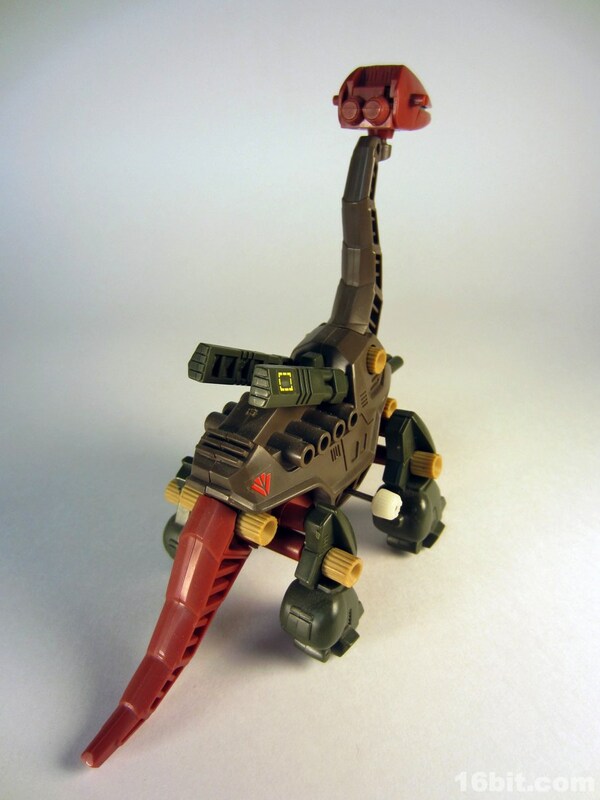 Most of the Robostrux toys were based on second-generation early Zoids kits with a clamshell-like head, recolored in earthtones and randomly assigned to a faction like "Red Mutants" or "Blue Guardians." Brox was a Red Mutant, but retained the Japanese Zenevas/Zenebas logo, which I slapped on the background of my Twitter page and would probably get as a tattoo if I were ever given a real reason to get one. 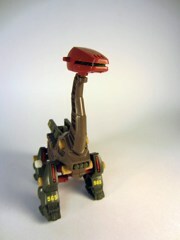 (Because that's what impresses the ladies.) 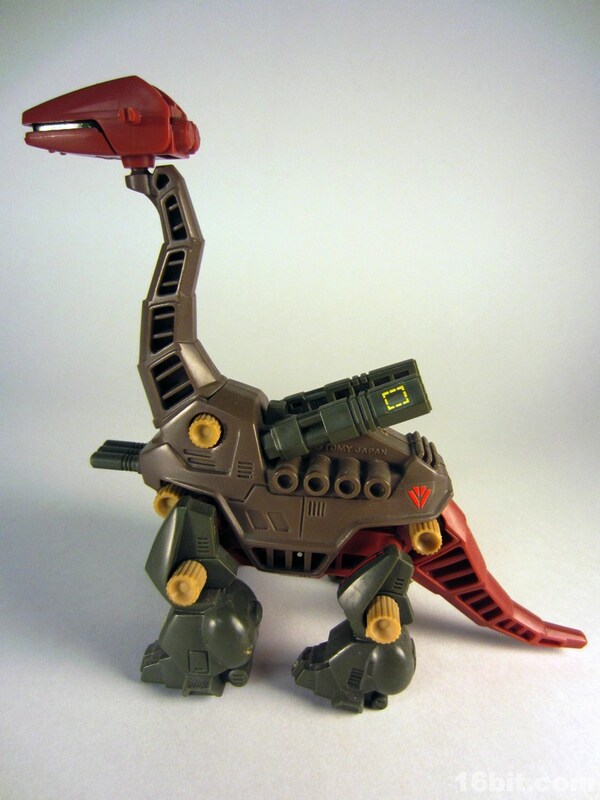 The figure is basically a wind-up kit of a sauropod, so if you like the Apatosaurus (or the Brontosaurus, which should annoy you dinosaur fans) this is the thing for you. The brown and reddish colors look great, and I prefer them to the Japanese silver and maroon colors, personally. The figure has very few moving parts, not the least of which is a swell opening "mouth" where the vac-metal gold pilot sits. The body has a slide-out cannon in the chest just under the neck, plus some pivoting wing-like structures on his back near the cannon leverl. He also winds up and walks, which is arguably the selling point for this kind of toy. 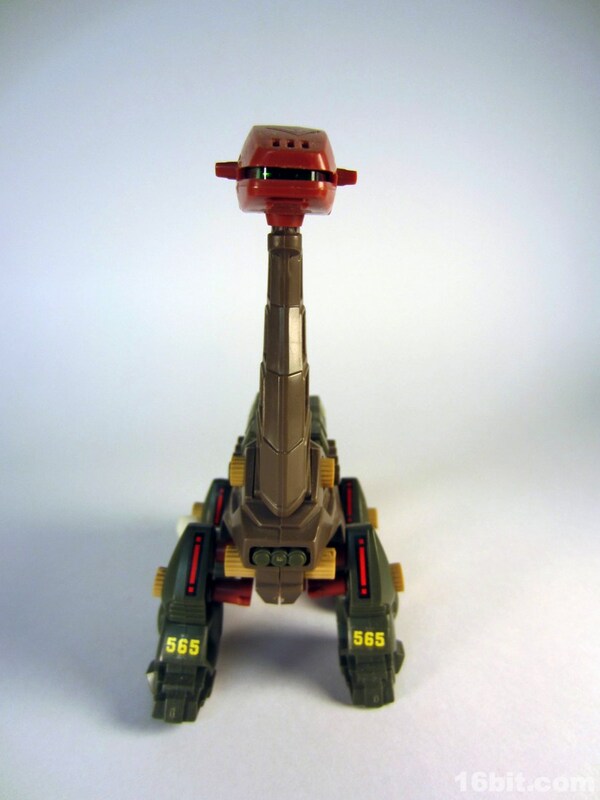 While not huge, it's neat, and kits from this line are generally expensive-ish on eBay. 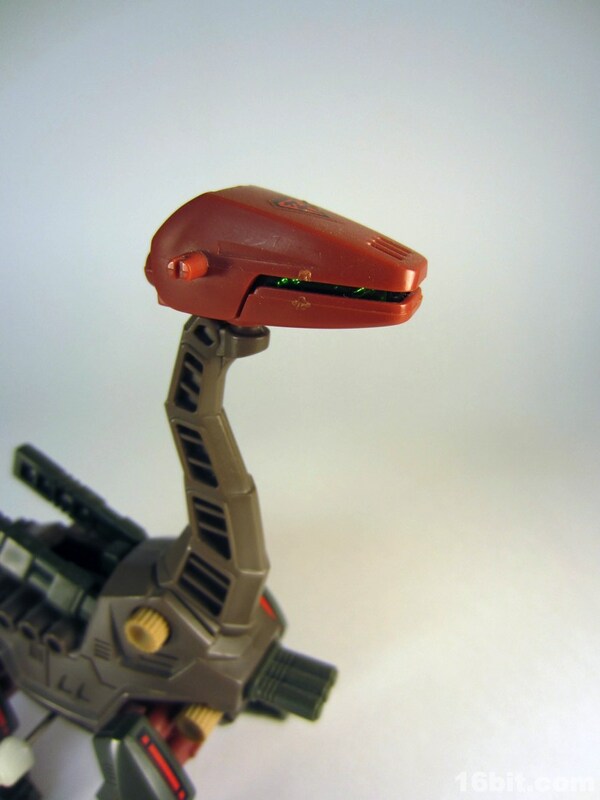 I recently bought a MISB Battlar and the wind-up motor busted after the first wind-up session, so be careful-- replacement parts are impossible to find. Brox is another one of my absolutely favorite toys from childhood, so I share it with you today hoping you also got to hold on to some of what made your formative years extra awkward.